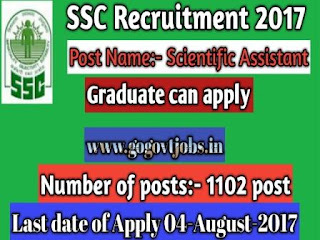 Staff Selection Commission (SSC) released notification for the recruitment of the post of Scientific Assistant. Suitable or eligible applicants can apply till 04-08-2017. 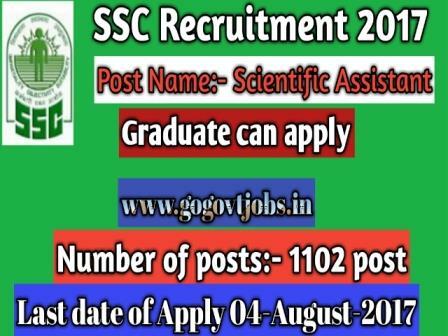 Staff Selection Commission (SSC) is an organization under Government of India to recruit staff for Various post in the various Ministries and Department of the Government of India and in Subordinate Offices. What is the Selection Process for these SSC Jobs? performance in various round of Selection. the various rounds of selection are as follows. Selection will held on Computers Based Test.